Description Additional levels for those who liked solving puzzles in the original game. Cut web threads, use flower cannons, return fluffies to their nests. Click on a web thread to cut it. Guide fluffies into nests of the same color. Use R to restart level. 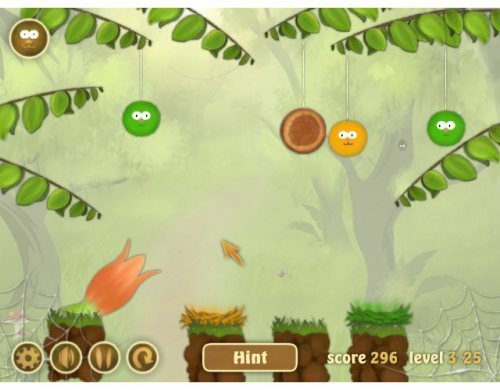 Funny fluffy characters in this classic tuscue #physics #puzzle #game.